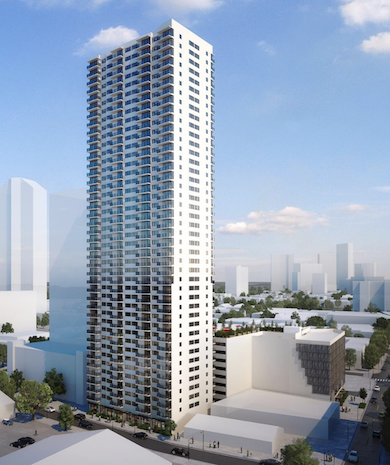 The Symphony Honolulu is one of Kakaako’s newest luxury condominiums. 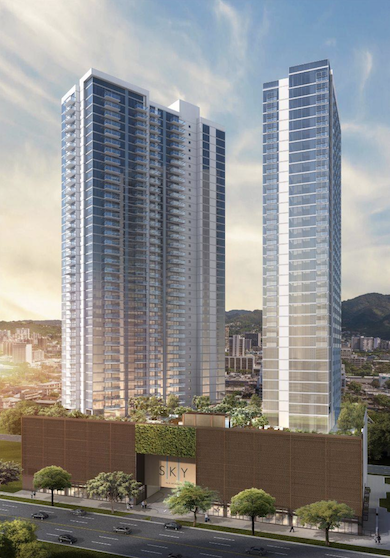 Developed by Oliver McMillan, who also developed Pacifica Honolulu, Symphony Honolulu offers one-, two-, and three-bedrooms floor plans. Located on the corner of Kapiolani blvd. and Ward Ave., the building is just a few short minutes from the future Kakaako Rail Station. The project is approximately 0.5 miles from Ala Moana Beach Park and 1.7 miles from famous Waikiki. One-of- a-kind Velocity Premier Auto Concierge? I certainly rate this building very high in terms of amenities that are offered while keeping maintenance fees low. Velocity will be an 80,000 sq.ft. retail auto space featuring exotic car brands such as Lamborghini, Ferrari, and Maserati among others. 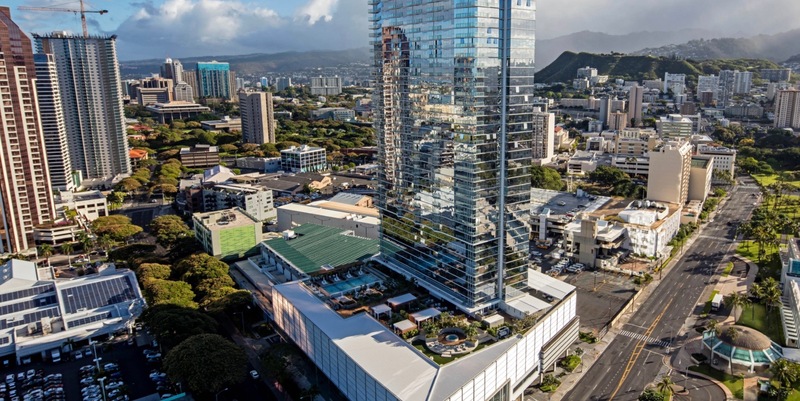 The ground floor dealership will certainly create a lot of buzz around the tower bringing life to the corner of Kapiolani and Ward Avenue. Across the street you will find the Blaisdell Concert and Exhibition Hall, where the likes of Justin Bieber, Janet Jackson, and local favorite Bruno Mars have performed for the people of Hawaii. The parking lot fronting the concert hall hosts a weekly farmers market featuring local produce and ready-made food. There are many great restaurants nearby such as Doraku (sushi), Chef Chai’s (upscale local asian bistro), Asahi Grill (local comfort food), and Budnamujip (upscale Korean Yakiniku). 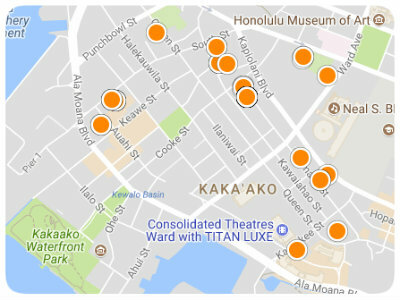 Ala Moana Center is a 10 minute walk down Kapiolani Blvd. and Ward Village is a 5 minute walk down Ward ave. Whole Foods Market is coming up in Ward Village and will be the largest Whole Foods in the state. Large floor plans are a great feature of this building. Every unit in the building features floor to ceiling glass windows which make for amazing views and a lot of natural light. The long side of this building runs east to went so half of the building faces mauka (Hawaiian for mountain) and the other half faces makai (Hawaiian for ocean). Wide plank engineered Oak floors are a feature of every unit, along with open kitchens looking out over the living area. Studio Becker cabinets, Bosch appliances, and polished quartz countertops can also be found in every unit. About half of the units have glass lanais which aren’t very large, mostly for standing, not so much for entertaining.